The Chad & Cheese Podcast | Listen Free on Castbox. Industry veterans Joel Cheesman and Chad Sowash are here to punch the recruiting industry right where it hurts, complete with breaking news, brash opinion, and loads of snark. 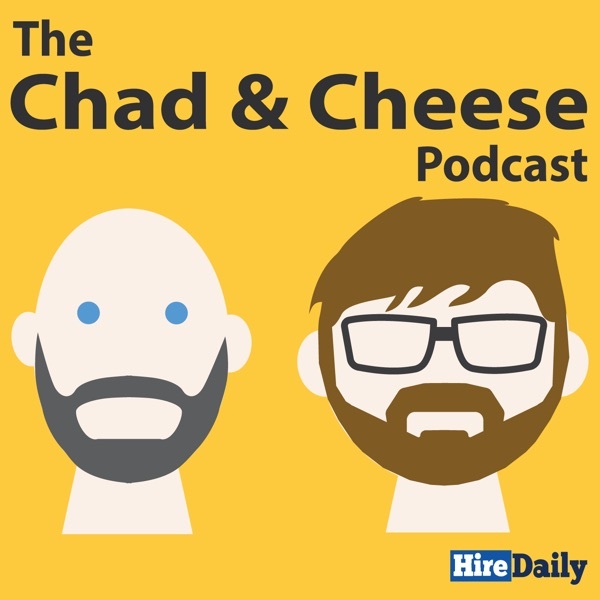 Chad & Cheese discuss a wide variety of topics and current news stories around recruiting, human resources and employment. Hiring companies, employers and vendors tune in weekly for insights from practitioners, vendors, startups and more. It’s on! Some of the industry’s most respected folks joined the boson stage for some good ol’ fashioned verbal jousting. The lineup included Joe Shaker of Shaker Recruitment Marketing, Thom Kenney of Smashfly, Abby Cheesman of SkillScout and Jason Jones of DraftKings. Buckle up and show our sponsors some love: Sovren, Canvas and JobAdX rule our world! Enjoy this Jobcase exclusive with StaffingTec’s Maurice Fuller, Staffing Technology and Blockchain Expert. A Jobcase exclusive: In just the past few years, Goliaths like Google, Microsoft / LinkedIn and Facebook have entered the world of recruitment in a big way. Traditional vendors like Indeed, Monster and CareerBuilder are struggling to catch-up, keep-up and stay relevant in an increasingly competitive field. Chad Sowash and Joel Cheesman from award-winning podcast, The Chad & Cheese Podcast, are here to discuss the current landscape of players, both big and small. Nashville didn’t know what hit it. The boys made their way South for two of the most popular conferences of the season this week. In addition to wrapping up the two events, news about Indeed, Rectxt, JazzHR and more are covered en route on the way home at 80 MPH in Chad’s car. Enjoy and show our sponsors some love: Sovren, JobAdX and Canvas. This episode is all over the place. The boys cover everything from ZipRecruiter’s CEO dissing Google, Indeed giving Hire by Google a sloppy kiss, TikTok landing on the proverbial radar and stinky Australians. And much, much more. Enjoy and give our sponsors a big, sloppy kiss, Indeed-style: Sovren, Canvas, JobAdX. Behind the scenes at Talroo. Don’t miss the latest update from of Talroo! GET READY KIDS – If you’re lactose intolerant THIS is the show for you. That’s right hold the cheese and I’ll substitute w/ some Jimmy Stroud! Chad & Jim tackle Yahoo!’s newest job search fail, Amazon goes beyond haptic bracelets – think Big Brother HUD, AI til you cannot stand it AND Jim believes McDonald’s automation game is READY… Don’t forget to tip our peeps at Canvas, JobAdx and Sovren! Yahoo! FAILS, McDonald’s Gives-up & Amazon AR Goggles? Come on people feed us some comments. Subscribe, review, and share with your friends and peers. Thanks for listening!